Originally published in 1920, this book contains the text of a series of lectures that were originally delivered to general audiences in Aberdeen in 1917 on the subject of the impact of humanity on the animal population of Scotland. 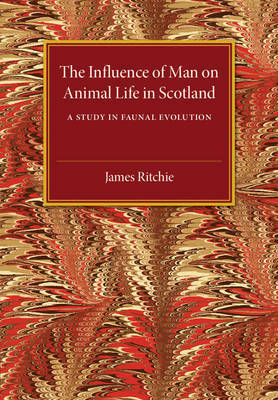 Ritchie examines how the presence of man affected the local fauna, either through deliberate manipulation, such as domestication and hunting, or as an indirect effect of actions such as deforestation and animals conveyed to the area as parasites or hidden in imports. The text is illustrated with a number of plates showing the effects of certain types of animal life on the environment and various native Scottish animals. This book will be of value to anyone with an interest in the relationship between humanity and animals and the impact of human decisions on the environment.